Exquisite contemporary Condo at the Summit Chase with stunning views. This unit combines two units, 506 & 508 circa 1977 and updated again in the past 2 years. 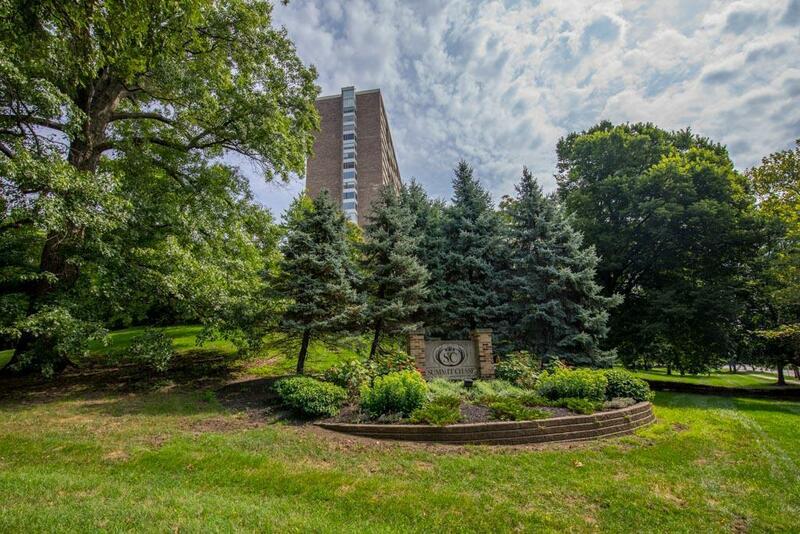 This unit includes 4 private balconies with views of both the city skyline and greenspace of Grandview Heights. This is an end unit giving you extra windows and light. The stairs at the entry take you down to the single story floor plan where all of the living space is on one level. A combined total of 3027 makes this condo one of a kind. There is a enormous owner's suite with walk in closet, full bath, and balcony. The 3rd bedroom is currently the owner's closet but could be the 3rd bedroom. Exceptionally large kitchen with 42'' cherry cabinets, granite, and stainless steel Viking and Electrolux appliances.